Since I left my job a few months ago and enjoying the life of a full-time blogger/newbie makeup artist and a stay-at-home mom in between, I realized that my IDs’ (identification cards) are haven’t updated yet. Both my SSS ID and Passport are still in my maiden’s name and needs to be updated to avoid inconvenience in the future. However, these primary IDs’ also needs supporting documents in order to push through the updates. So to start with, I applied for an NBI Clearance and since I cannot find my personal copy from my last clearance, I applied for a NEW one. 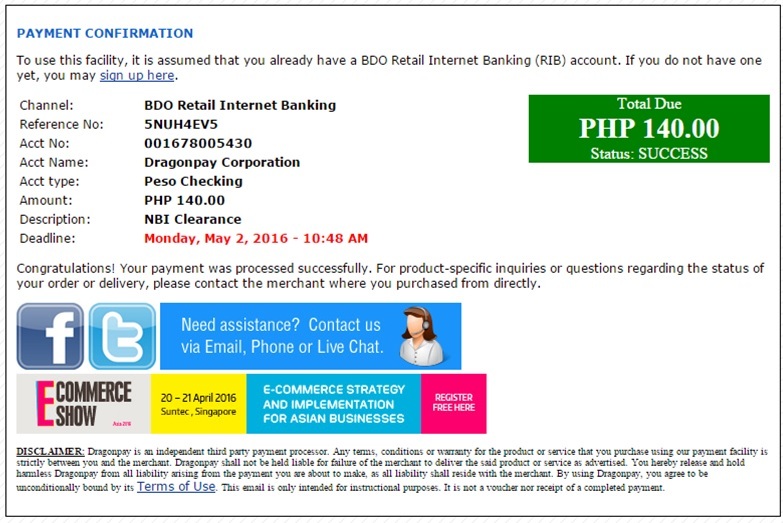 Nowadays, you can do most of the transactions online such as transferring money from one account to another, paying bills, applying for a credit card so on and so forth and I am very glad that you can also apply for an NBI clearance online. I remember when this is not yet implemented, I spent my whole day just for application and payment. I bet you also experienced that! 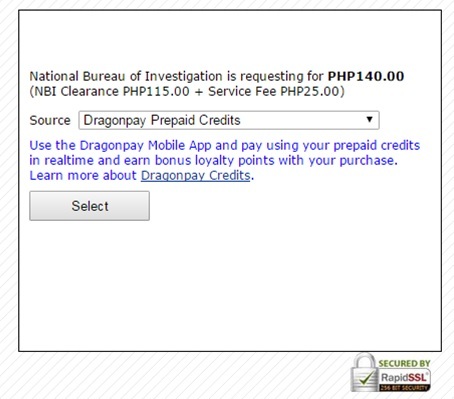 To apply, just log on to www.nbi-clearance.com and create your account. If it is your first time to this new process, click the sign-up button and choose between New and Renew Application Type. In my case, I chose the NEW Application and filled out the information sheet. Once you are done, click the Sign In button. 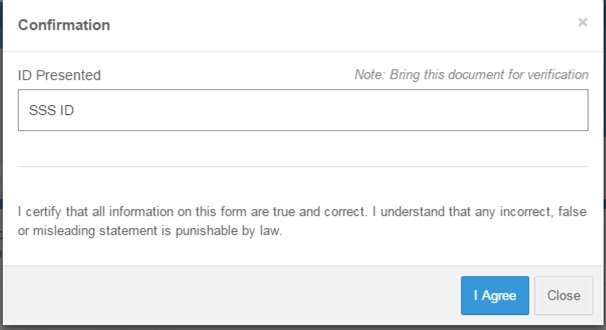 Upon registration, the Terms and Conditions will prompt and click the Agree button to proceed. Now you have made your account and complete all the necessary details. Once you are done click the Save button where you can find at the bottom part. Make sure all your information is correct before clicking the Apply for Clearance button. You will be asked for an ID to bring for verification and your preferred payment method either online bank transfer, over-the-counter or pay to bayad center nationwide. 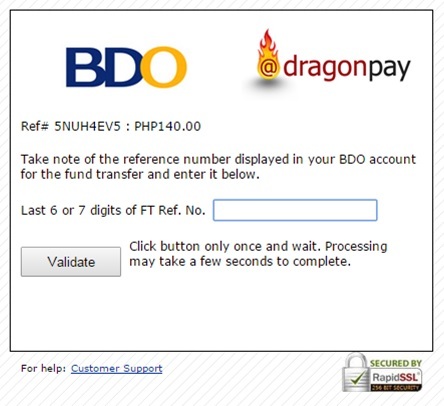 I paid the fee right away since I can access my BDO account online. Such a convenience. My most favorite part, you can freely choose your desired NBI Branch and the time of your appointment. 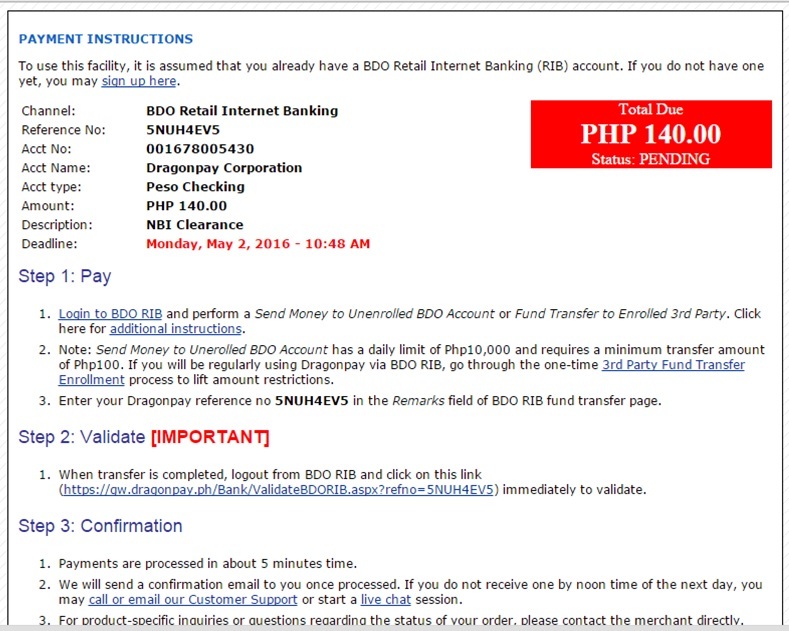 I chose the BDO Retail Internet Banking and followed the payment instructions. Once the payment is done, I was asked to put the last 6 digits of my reference number to validate my payment. Once the payment is successfully validated, it will also reflect on your payment instruction/confirmation and in your NBI account. Viola! You are now good to go! I did not bother to print since it is NOT necessary. As advised I just took a photo of it using my mobile phone. Come May 03, I expected a long queue and took me 2 hours for my turn for thumb printing and picture taking. Important note, make sure you have a photocopy of your 2 IDs. 2 copies each before falling in line and write down on the paper your Reference Number. Also, make sure your phone in fully charged so you won’t get bored while the line is moving. The process only took 5 to 10 minutes and as expected, I was asked to come back a few days later to claim my NBI Clearance. I got HIT which means that I have the same namxe with a criminal record. Tsk tsk. Very detailed explanation, thanks! One question tho: why did you change your last name? Why not keep your maiden name? The process looks easy. Those who need it will find tis very helpful. Great explanation, thank you for sharing. Sounds easy enough to use. I will definitley check it out. I love that we no longer have to skip work to go to the bank that only opens for a few hours a day. Online banking is def the way to go. Wow! This is very detailed! Anyone who needs this info will appreciate the time and effort you put into this. Love that you can do this online and avoid long lines. My teen recently got a state ID and it took 1 and a half hours. This sounds very easy! I thought it would have been harder. It sure has changed a lot compared to how it was before. This is definitely more convenient especially for people who barely have time to line up. I need to update so much of my stuff. We are planning a Disney Cruise early next year so we are going to need to get passports. Hopefully it will be as easy at this. Yeah, your post is so helpful. Glad that you can get almost everything online because it gives us convenience! This sounds like such an awesome service! And very helpful! Having a hit does not mean the "other person/people" are criminals, mind you. Having this as a blog article will surely help those who are in need of having the process act faster, since most employers only require a receipt during your probationary period and not the actual clearance sheet. Yet. Firstly congrats on becoming a full time blogger! Online banking has been a savior for me! I love how all of the steps have pictures. It makes it so much easier to follow. Fantastic walk-through for anyone that needs to get this! I need to update my pasport. I keep thinking about it but have not done it yet. This is such a helpful post. I didn't even know about this site. I like how you have lots of photos too because that really helps. Great tutorial on how to apply. Seems much easier now. Great use of screen prints to explain all of the steps. Congrats on becoming a full time blogger. 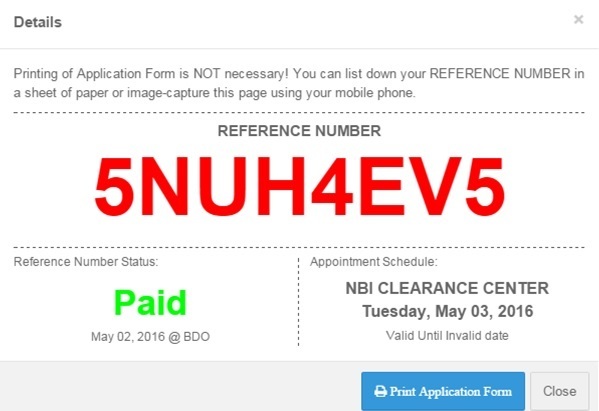 Very thorough and easy guide on how to apply for NBI. I've been using my bank for right at 40 years and although I don't see a need to change that at this time, I can see how online banking can be useful. Doing ANYTHING online is so much better than waiting. My daughter just had to go through a bunch of updates since she got married. I like how you laid all these information in detail. Thanks for sharing! Wow, looks so easy. Good thing that they come online so no need to queue in long lines! wow i love all of the details and this post is filled with such awesome information. thanks for sharing. Great information, love how you provide example of the forms. Love the helpful step-by-step pictures! Looks like a smart and easy (or at least easier!) alternative to other methods of updating these types of things. Thanks for sharing! This is really useful, especially for those who are planning to apply or renew their NBI clearance. It is good that the government has found a way to streamline the process of application. A good help to us busy mums most of all.